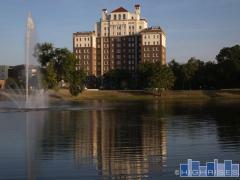 Park Plaza Condos in Highland Park, TX | 4500 Roland Ave.
Park Plaza offers highrise living with Highland Park schools! This building is in a great location just off Lemmon Avenue near the neighborhood Whole Foods Market. Note that, like Athena, dogs are not allowed at Park Plaza. Have any comments or questions about Park Plaza Condos? Ask your question and/or share your thoughts about this Building. How many units are on the 6th floor? Does unit 606 have burglar and fire alarms that are monitored by the association? I didn't see any sprinkler controls in their unit, are they only in the common areas? When were the systems (hvac, hot water heaters, a/c units, and electrical panels) updated last in unit 606?